Putting the fly fishing tackle together can be a little bit confusing if you do not have the right guidance. Starting without getting some assistance and good advices can be frustrating and for sure not the right way to start. The best way to get the right guidance is from experience person like a friend, the fly fishing shop that you bought your fly fishing equipment or a fly fishing club in your area. In order to give you some guidance and to help you to start preparing your fly fishing tackle, we outline the fly fishing tackle components and the actions to take in order to prepare it. 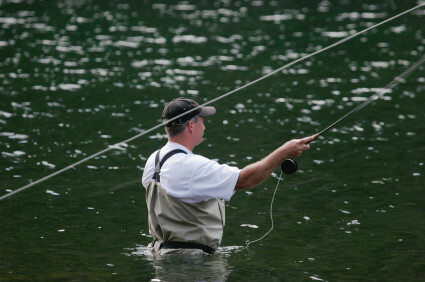 There are seven components in a typical fly fishing tackle.